Crock Pot Italian Sausage & Peppers is a Simple and Delicious Recipe for Lunch, Dinner, or Entertaining! We love Crock Pot recipes! Some of our favorites include Slow Cooker Honey Barbecue Brisket and Crock Pot Philly Cheese Steak Sliders! Crock Pot Italian Sausage & Peppers is one of those meals. Either you’ll love it or you won’t. For me, it’s a huge win, because…. it’s so easy to make, it tastes incredible, and it’s a perfect fit for so many occasions! People who don’t like Italian sausage though, they may decide it’s not for them. Also, it can be a little on the spicy side, so if you or your kids don’t love spice, this isn’t for you without making a few modifications. I’ll share more about those a little further down in this post. 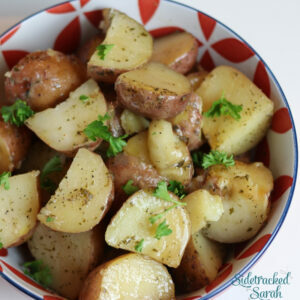 This recipe is so easy to make in the crock pot! It’s a great choice for those days when you want something warm and comforting but don’t have a lot of time to prep. I just threw the sausages in, without chopping them, and then when it was time to serve, I pulled them out and chopped them into coin sized, bite-sized pieces. It just saved time that way. 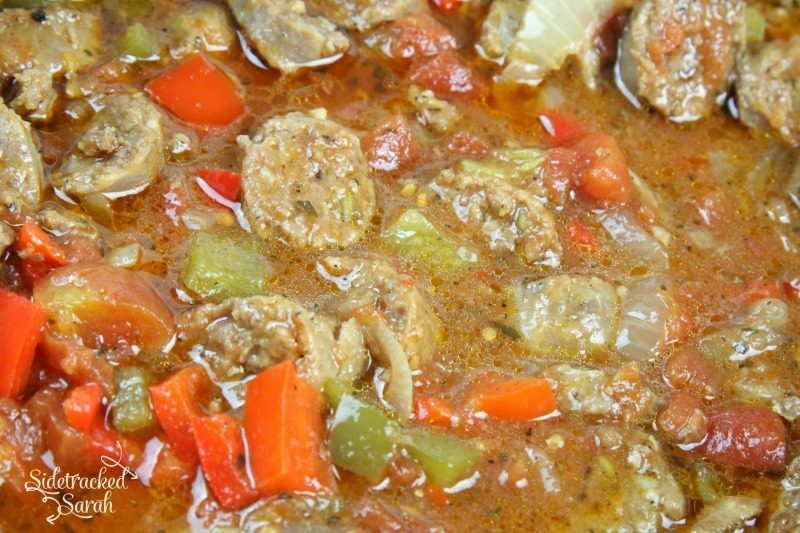 DO I NEED TO ADD ANY EXTRA LIQUID TO THIS CROCK POT ITALIAN SAUSAGE & PEPPERS RECIPE? With a lot of crock pot recipes, it’s good to add some extra liquid. 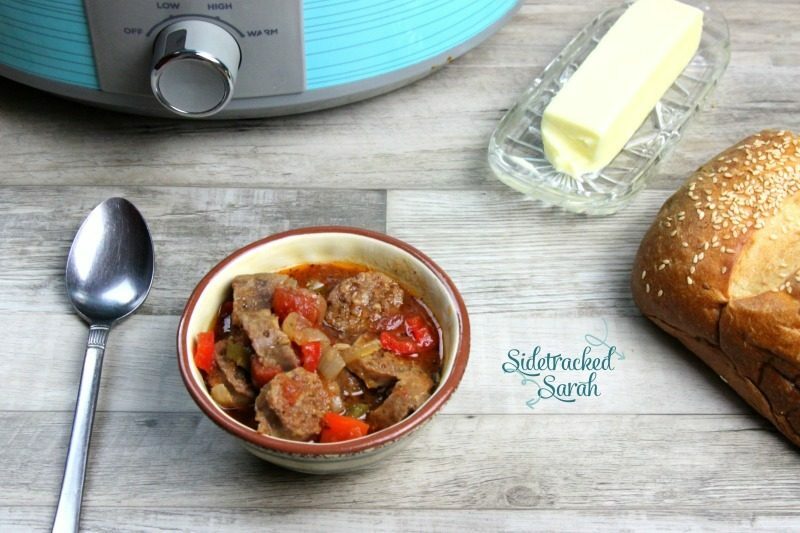 With Crock Pot Italian Sausage and Peppers, you don’t have to! The vegetables will give off liquid as they cook down. The end result is a wonderful, flavorful mix! Of course, if you want to add a bit of broth for extra depth of flavor, feel free! It’s completely optional, though. Either way, it’s just plain yummy, and I know it will end up on your regular meal rotation! 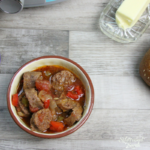 ARE THERE DIFFERENT OPTIONS FOR SERVING CROCK POT ITALIAN SAUSAGE & PEPPERS? Of course! The most common way to serve this delicious dish is with a hoagie roll or crusty roll, but it’s also delicious with pasta or even vegetable noodles. Honestly, though, I just eat them just as they are, in a bowl with some bread and butter. They are truly that good! WHAT DO I DO IF I DON’T LIKE SPICY FOODS? The main thing that makes this Crock Pot Italian Sausage & Peppers Recipe so spicy is the crushed red pepper. Leave it out and your recipe will not have the added heat. Of course, leaving out the black pepper will leave out any extra heat that may have provided as well. 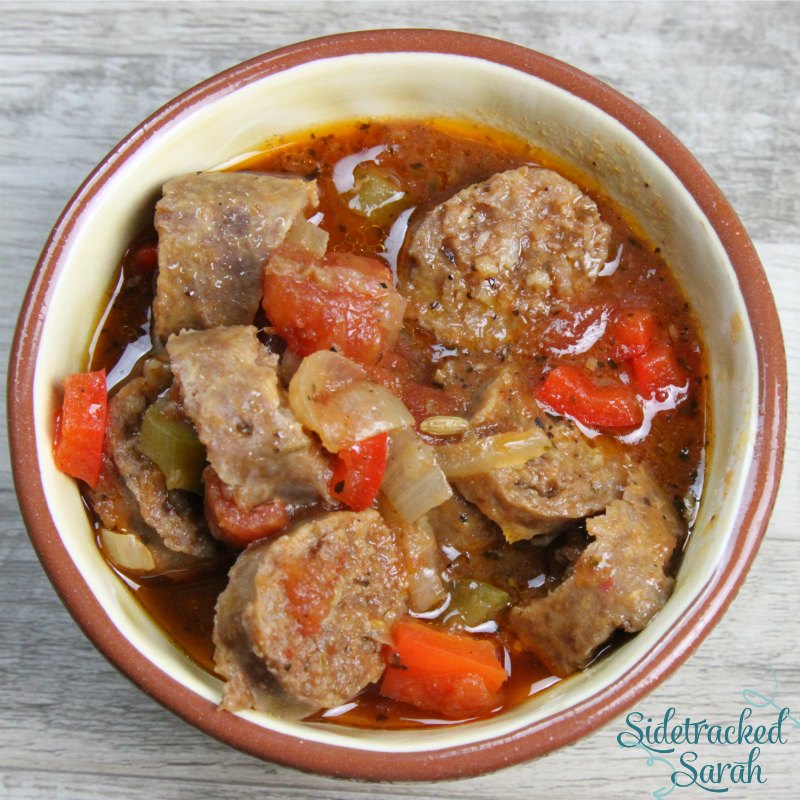 DOES CROCK POT ITALIAN SAUSAGE & PEPPERS FREEZE WELL? Yet another reason to love this recipe…it freezes so well! When you find peppers and onions on sale, be sure to stock up. You can freeze them in strips on their own or pack them with the other ingredients as a Crockpot Freezer Meal. Then, all you have to do is pull them out and you’re ready to go! 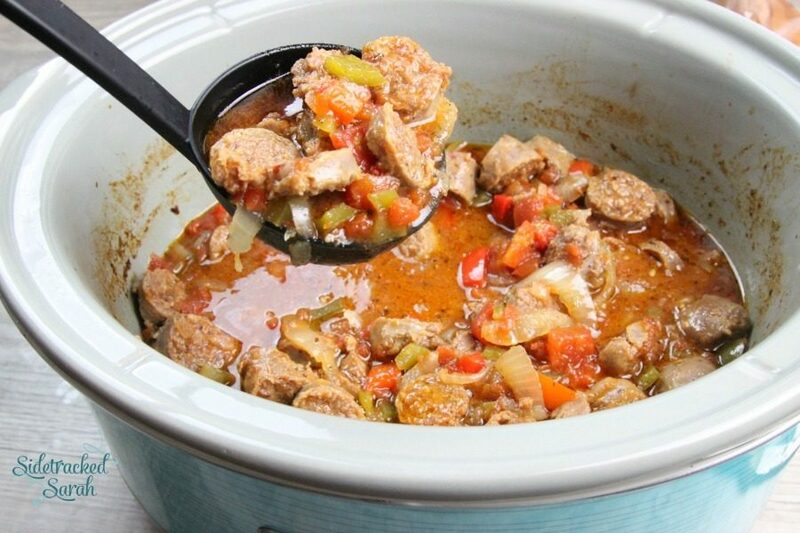 WANT MORE EASY CROCK POT RECIPES? Slow Cooker Asian Meatballs – So Easy! Chop 1 green pepper and slice 1 onion. Cook on 6 hours on low. This is my son Baylee. He is the oldest and just turned 21 this month. Hard to believe I’ve been a mom for 21 years, and yet I still have 6 other kids at home, the youngest of whom is 4. 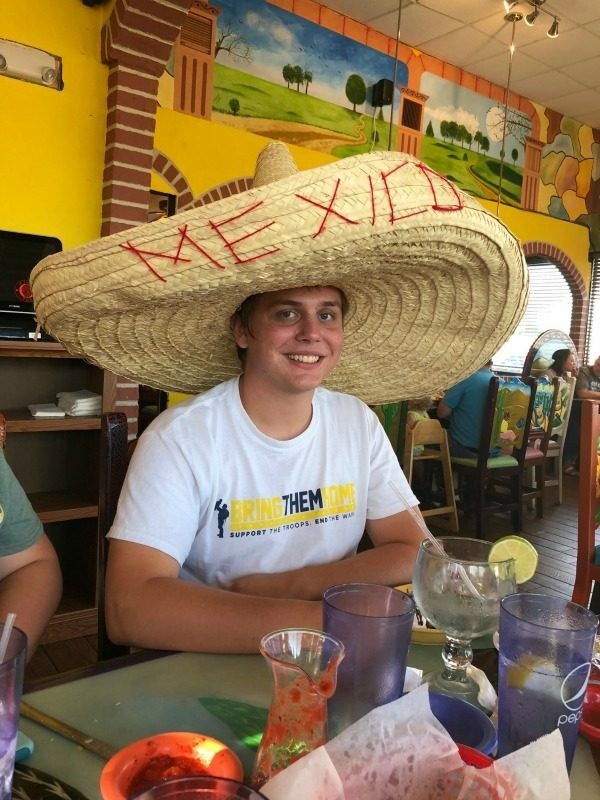 We took him out to one of our favorite Mexican food restaurants and he drank his first Margarita. The manager said he made sure to grab the LARGEST hat they had, lol. So fun! He was a great sport.